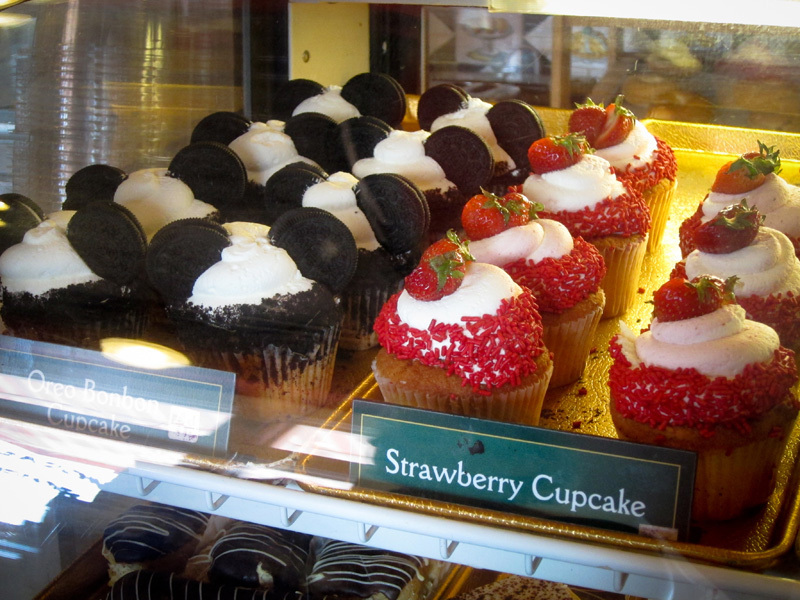 Oreo Bonbon and Strawberry Cupcakes from the Boardwalk Bakery. These were divine! The Strawberry was our favorite. These cupcakes are filled cupcakes and the frosting is a whipped cream base. The oreo bonbon is filled with cookies and cream buttercream and the strawberry had frosting inside! They don't transport well which is why I am showing them to you in the case! 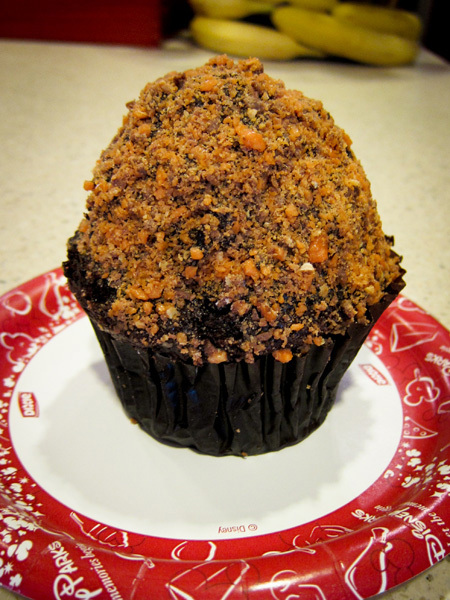 The Butterfinger cupcake from Starring Rolls in Hollywood Studios. This was wonderful. The butterfinger is super crispy on the buttercream frosting and there's fudge filling inside! 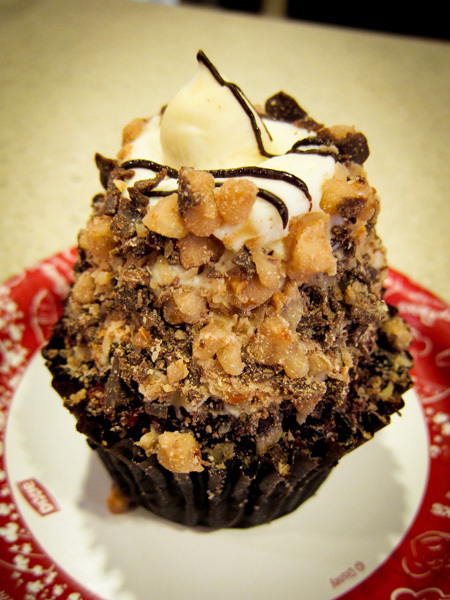 The Red Velvet Cheesecake from Starring Rolls in Hollywood Studios. Also really yummy with a real chunk on cheesecake on top! 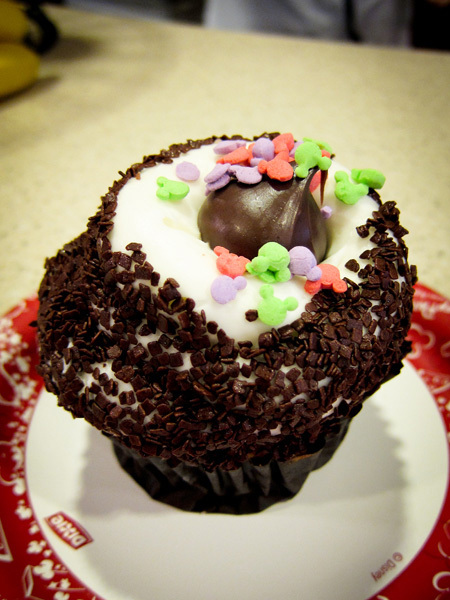 The Marble Cupcake from Starring Rolls in Hollywood Studios. We didn't really get the point of this cupcake but the flavor was good and it had fudge filling inside too. The Peanut Butter Cup cupcake from the Main Street Bakery in Magic Kingdom. This also had peanut butter chips inside. This was probably my second favorite! The S'mores cupcake from The Wilderness Lodge. This one had us swooning with its graham cracker cake, toasted marshmallow frosting and chunks of chocolate inside. Christy was looking for a microwave to warm it up! 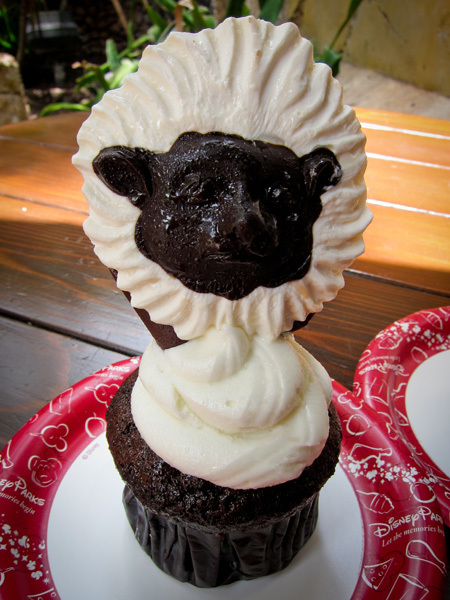 The Cotton Top Tamarind cupcake from Kusafiri Bakery in Animal Kingdom. This was good. A dark chocolate cake with buttercream frosting. The cute little chocolate tamarind on top was a totally edible extra. This was an extra to the original "crawl" and we were glad we tried it. 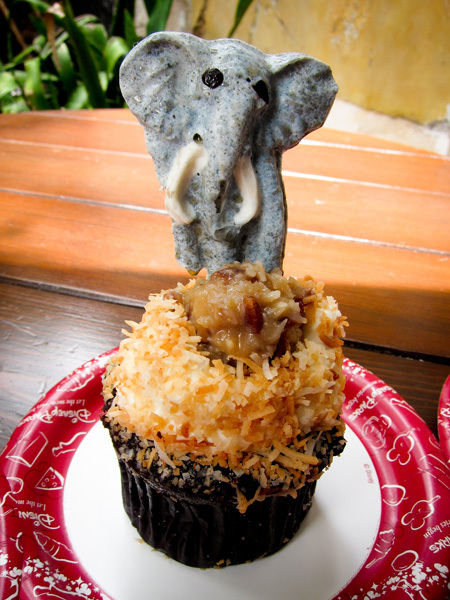 The White Chocolate Elephant Cupcake from Kusafiri Bakery in Animal Kingdom. This was Christy's favorite. And that white chocolate elephant is also edible. 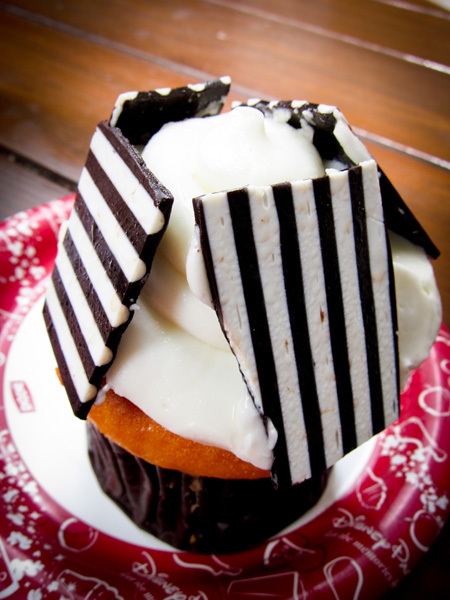 the Zebra cupcake from Kusafiri Bakery in Animal Kingdom. Also good if you like vanilla as it is a vanilla cupcake with buttercream frosting. While researching my trip to Disney with Christy, I came across the Disney food blog and more specifically, the Disney Cupcake Crawl! You can read the blog post here. I wasn't sure Christy would be game, but I sure was!! I was so delighted when she said she would love to take the challenge with me. We ate (greatly sampled) TWELVE cupcakes while we were there. A couple of them were not on the challenge, but we just couldn't help ourselves....haha. The cupcake crawl instructions are for a two day challenge, but we didn't have a park hopper pass and so we had to eat them on our respective park days. 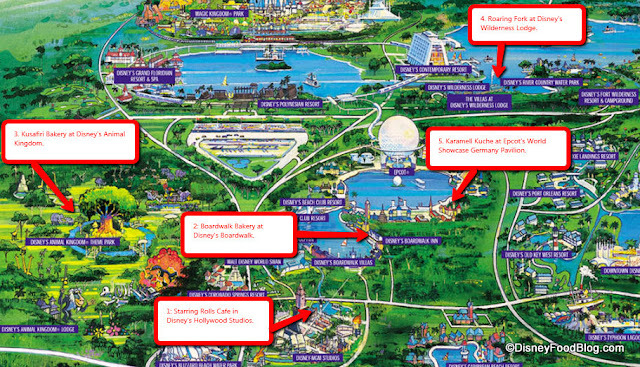 That combined with the Disney Dining Plan meant we were never hungry and indeed rather stuffed most days. The Peanut Butter cupcake is no longer available at the Boardwalk and we were supposed to choose 2 so we ate the Oreo Bon bon and the Strawberry Shortcake. We ate 3 cupcakes from Animal Kingdom even though it only required 2 because they were all just so cute!! 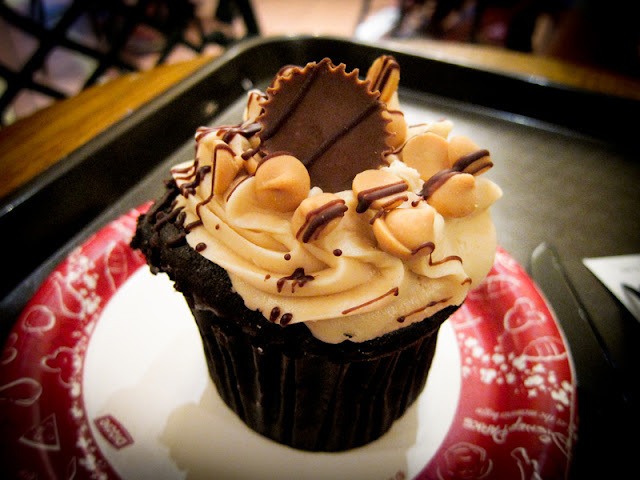 The Peanut Butter Cup cupcake from Magic Kingdom was a total extra that wasn't on the plan and I am so glad we didn't pass it by! 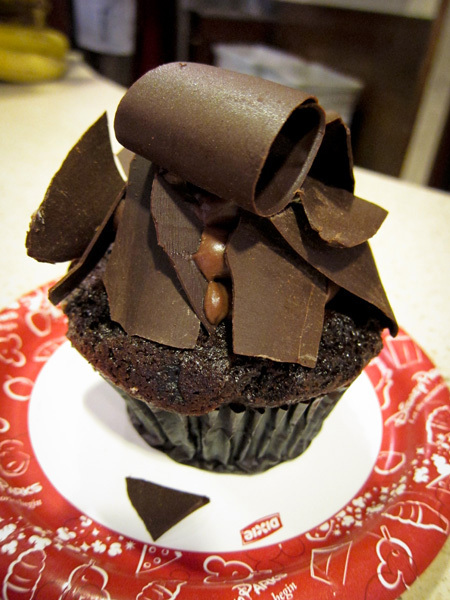 My favorite cupcake of all was the Chocolate Peanut Butter cupcake from Starring Rolls in Hollywood Studios and second favorite was the Chocolate Peanut Butter Cupcake from Magic Kingdom. 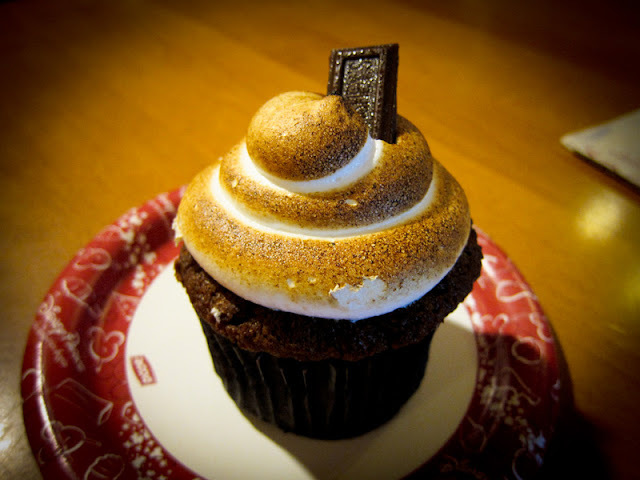 Christy gave high marks to the White Chocolate Elephant cupcake from Kusafari in Animal Kingdom and really had a lot of good things to say about the S'Mores cupcake at the Wilderness Lodge. We also both really liked the Strawberry Cupcake from the Boardwalk Resort. Actually we liked a lot of them. 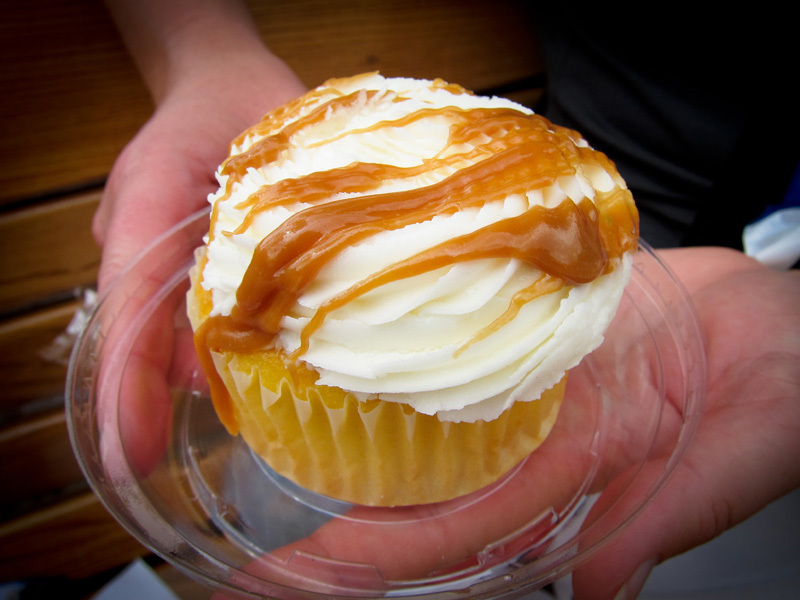 Our least favorite was the Caramel Vanilla cupcake from Epcot and probably the Marble cupcake from Starring Rolls in Hollywood Studios. Next time I come, I will already know which ones I want to eat again and only have to try any NEW creations. This really was a blast! !